My very first interview is with one of my favorite authors. Dorte is an expert in bringing murder full circle in the shortest amount of time possible–often within a couple of pages. Here we go! I asked Dorte to start us off with some personal information about what she does other than writing and what she enjoys. Let’s see what she had to say. I teach Danish students English ´for real´, I suppose writing crime fiction is what I do for fun. And as I suffer from Chronic Fatigue Syndrome, there is not that much room for other kinds of fun in my life. My favourite season is the summer – nothing is better than writing in my wonderful writing corner outside our cottage – well, writing, reading, eating, drinking coffee or chatting outside our cottage. I love classical music, e.g. Bach, I don´t worry too much about who sings or plays his music as long as they do it well. I enjoy singing in our local church choir as well. Wonderful hobby, and we have so much fun together. What’s your favorite movie? Don´t know really – “Fried Green Tomatoes”, “One Flew Over the Cuckoo´s Nest” and “The Color Purple” are among my favourites. Now that we know you a little better as a person, let’s get into your writing! What kind of books do you write (genre)? So far I have published a cosy mystery in English, but though they are fun to read and write, I prefer crime fiction which is a bit more serious so the next one will be a psychological mystery. Name some of your books, including your latest. After some collections of flash fiction and the popular ghost story “Heather Farm”, I published my first novel, the cosy mystery “The Cosy Knave” last year. “The Cosy Knave” is one of my all time favs! I just love the quirky characters! How many books have you written so far? If I discount flash and short stories, I have written three novels. One published in English, one published in Danish, and a Danish manuscript which has not been published yet. Tell us about your next book and when is it being published. If all goes well, I´ll finish translating “Anna Märklin´s Family Chronicles” in 2012. The story of a young woman whose life begins to crumble when her father grows ill and her best friend dies in what looks like an accident. That sounds fascinating. When did you start writing and why? Did any specific author(s) motivate you to begin writing? I have always wanted to write crime fiction, but when my three children were young I was caught up in life and other stuff. I began writing a decade ago, but when I had finished a couple of manuscripts, I realized the climate has changed in the book business. Suddenly no one wanted to touch debuts, unless they were written by Stieg Larsson, and at that time self-publishing was not something you did in Denmark. So nothing happened until I got to know some brave self-publishers via my blog, and they encouraged me to begin writing in English instead. So 2011 was the year when I turned fifty – and took the reins in my own hands by publishing my fiction in two languages. I am indebted to several writers, especially the British women P.D. James and Ruth Rendell. For me, their books are crime fiction as it should be – well-written, exciting, with intriguing characters. Are you an avid reader and when you do read someone else’s writing, what is your favorite genre? I have to read a lot of serious literature for my job so in my spare time I invariably choose crime fiction. Usually I read a lot, but lately I have slowed down, partly because I am determined to spend more time writing my own fiction. There are so many, but for the benefit of my American readers let me mention my American favourite, Sue Grafton. Her alphabet series is such a brilliant idea – one of those you wish you had come up with yourself. And her protagonist, Kinsey Millhone, is great company. Oh, I love that series, too! Dorte, what is it that makes your writing different from all the others in your genre? Hm. One of my Danish reviewers said about “The Cosy Knave” that it was more British than Queen Elizabeth and scones. And I suppose my love of the British countryside, their language and their humour is exactly what American readers of cosy mysteries want. Embarrassing. I have written three novels in more than ten years – but of course I worked fulltime the first of those years, and I have been chronically ill for the last five years, so I don´t have many of the good, worry-free days I need to be able to come up with new stuff. I would love to spend all my (good) time writing, but someone has to pay the rent. Where do you do your writing and what is your process like? I always write at home (i.e. in our vicarage or in our own little cottage near the coast), and I never begin writing before I have a clear outline. I need to know the ending first. I should probably spend even more time outlining as the middle part is my problem. I know all about ´the sagging middle´ whereas the ending is a piece of cake. But within the framework, my characters have lots of influence, and my, they exploit that sometimes. When Rhapsody Gershwin wants a car chase, she gets one. I just adore your characters. How do you get ideas for your stories and characters? Usually I forget before I´ve written the first few chapters. But I know exactly how I got the idea for “Anna Märklins familiekrønike”. I dreamed that I found a wonderful children´s book in a shop, but while I stood there, absorbed in the young girl´s story, the atmosphere changed. And I woke up, thinking ´oh no, you can´t put that in a children´s book!´ All the rest of the story is a frame around that scene when my protagonist, young Anna, realizes what the Märklin family chronicles are really about. Editing is the bane of all writers. What is your editing process like and who does it? There is no way I could do it all myself. I rely on a handful of helpful beta-readers. Some of them are good at the initial stages when I think the whole thing should be shredded. Others help me figuring out which plotlines work and which ones need my attention. And finally, I have a couple who are excellent at spotting errors. What’s the best/worst experience you’ve ever had as a writer? There are many, really, but I was amazed to learn that my Danish debut was no. 18 on the bestseller list during Saxo´s huge Christmas sale (Saxo is Denmark´s largest ebook shop). Wow! That had to be exciting! The worst? I can get in a crappy mood for a day or two when I get negative reviews, but all in all, my first year as a self-published writer has been full of positive surprises. What is the best/worst advice you have ever gotten about writing? Best? Try to write whether you feel inspired or not. Experienced writers have taught me not to sit down, waiting for a muse that may never come. Write what you know. What if J.K. Rowling or Tolkien had followed that one? Instead, I try to know what I write, meaning when I don´t know, I do my best to find out. Life is much funnier for the writer that way, and probably also for the reader. If you want to be a happy writer, write what you like to read. If you want to be immensely rich, ask somebody else. Did I mention that I love your sense of humor? If you hadn’t become an author, how else might you be exercising your right brain now? No, I don´t think so. Where on-line can people find more information about you and your books? Facebook and “DJ´s krimiblog” (mostly reviews of other people´s books, but don´t worry, I´ll let you know whenever I publish something). As a Danish writer with my main target group in the USA, I consider ebooks much simpler to handle. All my English books are available via Amazon and Smashwords (hence also all Smashwords´ retailers). Thanks to Dorte for being the first to be interviewed for my website. I hope you enjoyed getting to know one of my favorite authors! In Australia we have exactly the same laws, to prohibit criminals from profiting from their crimes. And it should be like that! Otherwise it’s like rewarding a criminal twize. First with the crime, second with a reward! At least in real life! How great it is to see such a good interview. 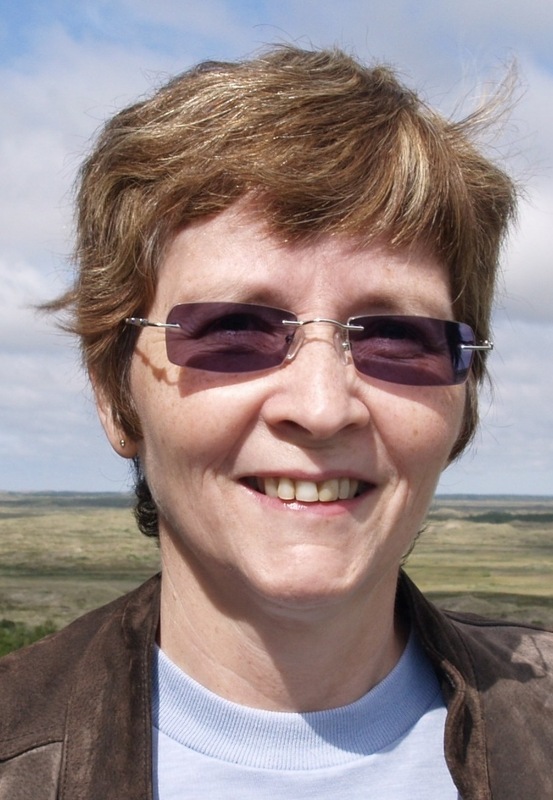 Dorte is in some respect my mentor, when it comes to finding my way in the Indie publishing business and she has helped me tremendously to get to a point where I can actually make a living writing – though not there yet, I am on my way and Dorte has been a good friend there. One of the answers, I really liked was that “write what you know” is one of the worst tips on writing. Because she is absolutely right in the respect that if you bind yourself to only writing what you know, how are you going to write about anything else than boring everyday life? Science Fiction, Fantasy, Horror and Crime Mysteries would never have become genres, if every Author in the world abided by such a rule. Someone, who killed several people and is serving jail time for it is actually making money on the story afterwards! What does that do to our common sense of justice??? We have laws in the States to prohibit criminals from profiting from their crimes. It wouldn’t prevent the writing of the book, but he’d never get a penny of the proceeds. Haha. I must be a brilliant mentor if you can make a living from writing any time soon, Per. But good luck, and thank you for your nice comment. Thanks you Linda for a great interview. Absolutely excellent! And congratulation with your web-page. Very nice layout. I love your questioning, and Dorte’s reply as well! -What advice would you give a new author? -If you want to be a happy writer, write what you like to read. If you want to be immensely rich, ask somebody else. I have know Dorte from our blog “Skrive-bloggen” – a Danish writing workshop for a number of aspiring authors. Dorte was our Administrator, when I started on the blog. So I have been following her for quite a while.